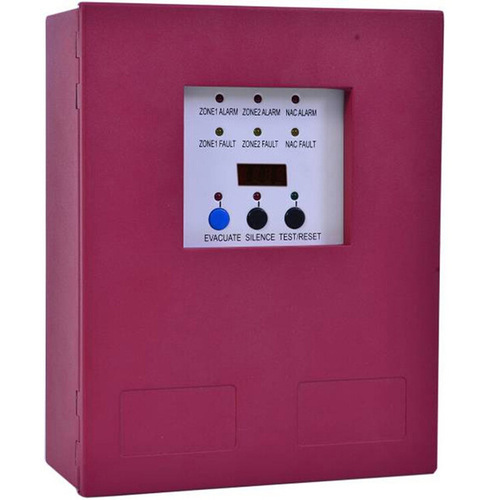 We are involved in providing a varied series of 2 Zones Fire Alarm Control Panel. Our products are made under the management of dexterous experts in compliance with universal industry principles. We, Shri Balaji Fire Protection based at Gurgaon, Haryana is engaged in manufacturing a quality assured range of Abc Fire Extinguisher, Dry Powder Fire Extinguisher, Reflective Gloves, Fire Proximity Suits, Dry Chemical Powder, Fire Alarm Control Panel, Fire Alarm System, Fire Brigade Connector, Modular Type Fire Extinguisher, Portable Gas Detector, RRL Hose and Water Mist System. We are a client focused firm and always strive to offer premium quality products in various specifications. Our ultimate goal is to serve our clients need in the best possible manner. The products are stringently examined by quality analyst to ensure quality assured products are delivered to the client.